There's a sound that rustles from the Galapagos 4 label in Chicago that is in tune with the Windy City's deeper soul. Each of its releases have a kinship in aesthetic belief relative to the city even when the crafters of the sound are from the far reaches of the globe. Batsauce is a Berlin-based producer, but the textures he lays out keep Qwazaar deeply rooted in his Southside stomping grounds. 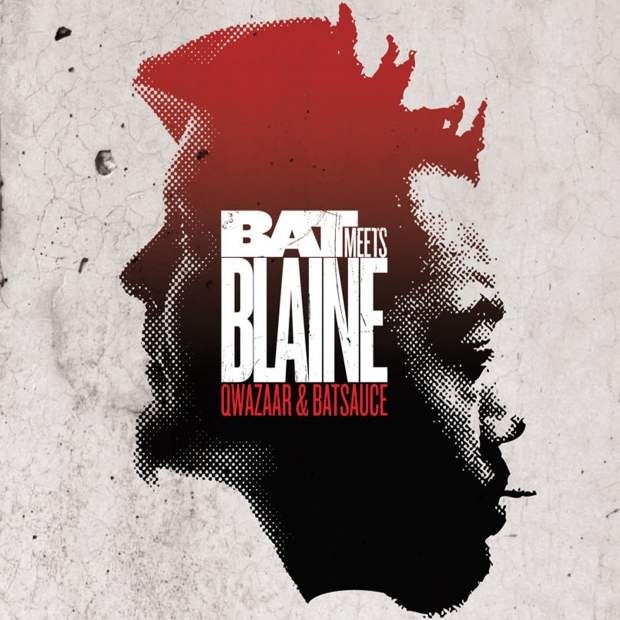 Batsauce's production on the Bat Meets Blaine record pushes Qwazaar's voice into new territory that has him in the booth reacting in the moment, rather than recounting the days events on paper. On “If It Seems Wrong” Qwa is talking himself out of sedation by listing his needs and basic vices as solutions. Often on the record Qwa's approach takes on bluesy work song inflections. It places Qwa in the heart of a lineage that aligns him with Lead Belly as much as Slick Rick. Qwazaar & Batsauce's Bat Meets Blaine album is out now on Galapagos 4.